Call us by phone, send a fax, or email us! Located in the West End of Richmond, Virginia. From Highway 64, take the Parham South exit # 181. 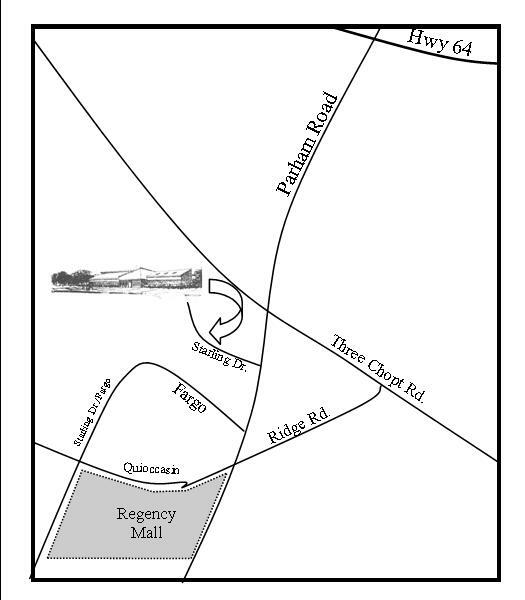 We’re located 3/4 mile down Parham road, turn right on Starling Drive. Behind Topeka’s Steakhouse, across the street from the new Tuckahoe Library.